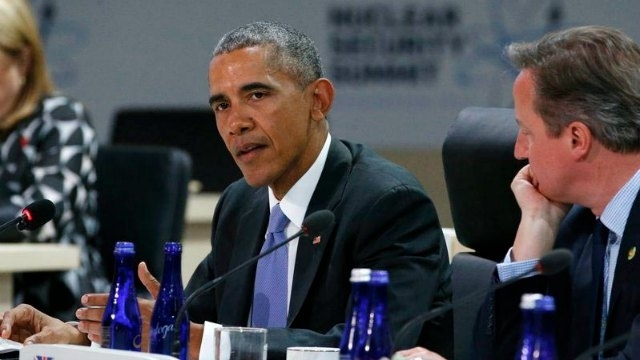 US President Barack Obama has dismissed North Korea’s proposal to suspend nuclear tests if the US ends its annual military exercises with the South. On Sunday Mr Obama told reporters that the US did not take such a proposal seriously and that Pyongyang would “have to do better than that”. The North’s foreign minister Ri Su-yong made the offer in a rare interview. Annual military drills conducted by the US and South Korea routinely inflames tensions with the North. Mr Ri’s comments came as the North said it fired a ballistic missile from a submarine off its eastern coast. The United Nations condemned the test, which it called a “serious violation” of past resolutions aimed at curbing the North’s nuclear ambitions. Mr Ri had told the Associated Press on Saturday “if we continue on this path of confrontation, this will lead to very catastrophic results, not only for the two countries but for the whole entire world as well”. “It is really crucial for the United States government to withdraw its hostile policy against the DPRK and as an expression of this stop the military exercises, war exercises, in the Korean Peninsula. Then we will respond likewise,” he said, using the abbreviation for North Korea’s official name, the Democratic People’s Republic of Korea. Mr Ri signalled that North Korea would not back down despite current sanctions imposed by the US and allies. International sanctions have been stepped up in the wake of several controversial nuclear and missile tests by the North. The latest allegedly took place last week, with the North claiming to have used “cold launch” technology to fire a missile from a submarine, where it is expelled using gas pressure. It also conducted its fourth nuclear test with a hydrogen bomb in January sparking worldwide condemnation, and claimed last month that it has developed nuclear warheads small enough to fit on ballistic missiles, though experts have disputed such claims. Analysts believe that the North may be gearing up for a fifth nuclear test as a show of strength ahead of the North Korean Workers’ Party Congress, the first since 1980.